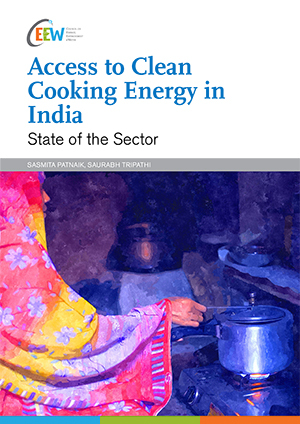 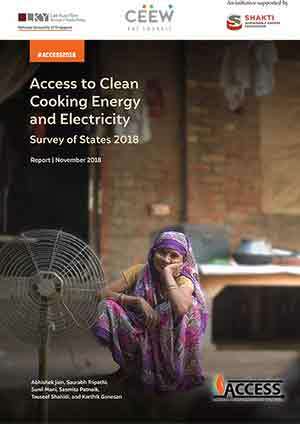 The Access to Clean Cooking Energy and Electricity – Survey of States (ACCESS) is India's largest energy access survey, covering more than 8500 households, 714 villages and 51 districts, across Bihar, Jharkhand, Madhya Pradesh, Odisha, Uttar Pradesh, and West Bengal. 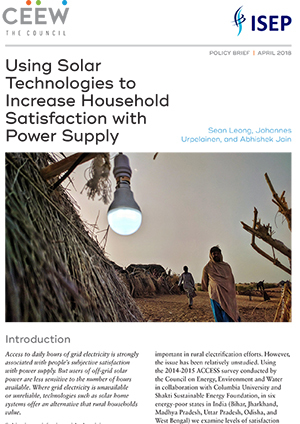 First conducted in 2015 by CEEW, in collaboration with Columbia University, the survey collected over 2.5 million data points via an expansive data collection process, lasting more than a year. 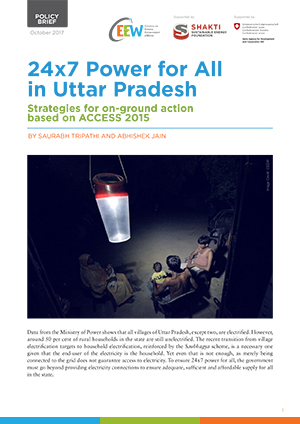 Results from phase two of the ACCESS survey will be published in 2018. 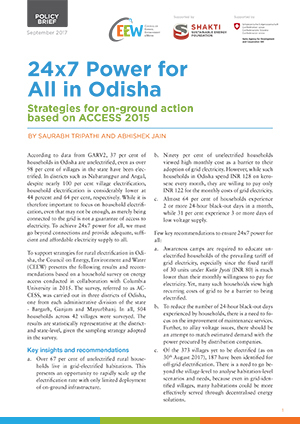 Households surveyed in 2015 will be revisited to record changes in their state of energy access, if any, and analyse trends to inform the government’s ongoing rural electrification efforts. 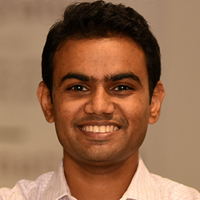 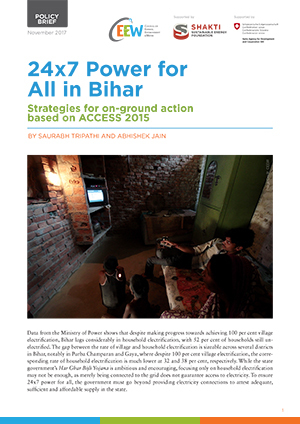 ACCESS provides a first-of-its-kind multi-dimensional evaluation of the state of energy access in India and highlights multiple nuances associated with electricity access and cooking energy access such as the duration of supply, quality, reliability, affordability, availability, health and safety, and even legal status of the connection.